Opinion: So, How You Doing, Mayor Gray? Mayor Vincent Gray’s lawyer in the corrosive campaign scandal now playing out is veteran Washington attorney Robert Bennett. His many high-profile clients have included President Bill Clinton and presidential candidate John McCain. Bennett is friendly and approachable, and he speaks — when he speaks — in simple, declarative sentences. But mostly he tends privately to the legal tangles of his clients. So we thought it significant last week when Bennett issued a public statement explaining why he’s directed Gray not to comment on the scandal. That’s pretty routine stuff. You don’t want your client to misspeak and worsen the situation with the prosecutors. 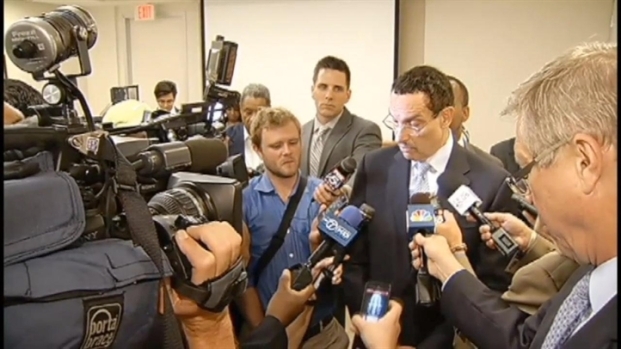 After seeing the latest video of him being surrounded by aggressive reporters and cameras, D.C. police informally expressed concern about the lack of space between Mayor Vincent Gray and the media scrum following him. We recount nearly every sentence in the Bennett statement for a reason. D.C. Council member David Catania still thinks Mayor Vincent Gray should resign, but not because he's interested in the job himself. Of course Bennett would offer such a defense. But it struck us that except for a couple of advisory neighborhood commissioners and a few ministers, no other significant leaders in public life — elected or otherwise — are defending Gray or aggressively trying to counter the drip, drip, drip of bad news. Bennett’s role in this case is twofold. He’s trying to protect the mayor’s legal options but also to guide a public figure who no doubt in private is shaken by the turn of events. It is unlikely Bennett would publicly characterize the current client thusly, but in a 1995 interview with the D.C. Bar, Bennett was asked if defense attorneys must be “cool and analytical and ignore all of the emotion” that surrounds a big case. Bennett: “Oh, no! Dealing with a client’s emotions is often the most important part. An indictment is not just words on a piece of paper. You’re talking about a human being. When an executive of a company gets into trouble, he’s usually someone who is used to being in control; then all of a sudden the control disappears. He’s facing the worst, most traumatic situation of his life. It’s as if he’s hanging on to the end of a rocket that is taking him places he’s never been before. And that’s what Robert S. Bennett is trying to do for Vincent C. Gray. ■ Catania’s take. When at-large D.C. Council member David Catania called on Gray to resign, the mayor and some others groused that Catania has never gotten along with Gray and that Catania harbors dreams of being mayor. Catania indirectly answered those critics last week on the WAMU 88.5 Politics Hour. Catania told the Notebook and host Kojo Nnamdi that he won’t be running for mayor. Catania acknowledges he had indeed seriously considered such a campaign but said he has decided he doesn’t have the “fire in the belly” it requires. 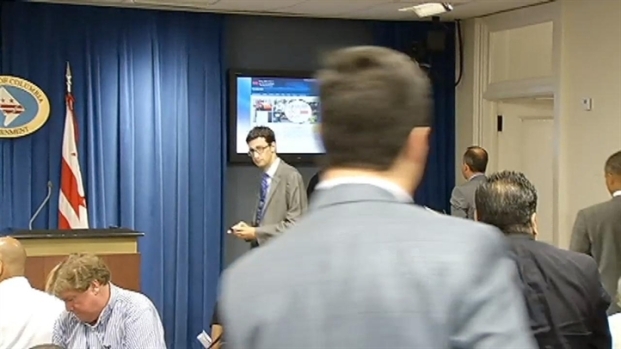 Almost as soon as Catania spoke, the Notebook got tweets saying the council member intends to run in 2014 to be the first elected D.C. attorney general. There’s no indication of that now, and we’ll leave it to another day. Catania said whether Gray is personally guilty of wrongdoing is almost beyond the point. He said the shadow campaign — now detailed in others’ guilty court pleas — invalidates the mayor’s authority. ■ A final word. Celebrated, beloved and Pulitzer Prize-winning columnist William Raspberry has died. There have been many glowing tributes for this gentle man who applied tough words with grace and skill. Funeral services will take place at Washington National Cathedral on Thursday at 10 a.m., with a reception at The Washington Post’s 1150 15th St. NW offices set to follow from 12:30 to 3 p.m.